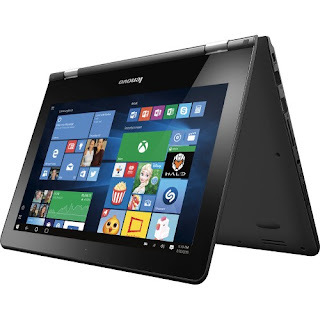 The Lenovo Flex 3 80LY0009US is another laptop PC that comes equipped with the processing muscle of Intel Celeron N3050 low-end dual-core SoC that features 2 MB level 2 cache and runs at the base clock speed of 1.6 GHz with speed boost up to 2.16 GHz. This laptop PC has integrated graphics controller called HD Graphics (Braswell) which is based on the Intel Gen architecture and supports DirectX 11.2 and capable of rendering high definition movies and playing less demanding games with ease. 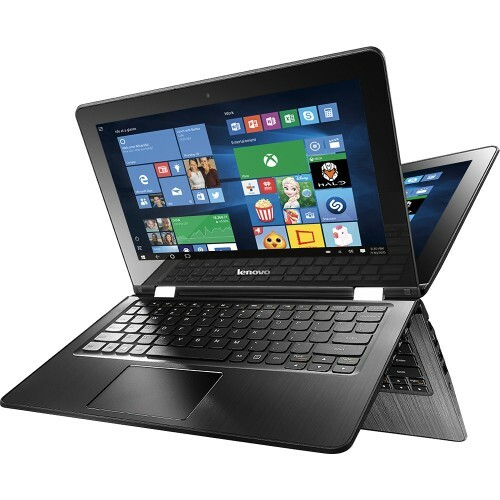 The Lenovo Flex 3 80LY0009US laptop is equipped with 2 GB system memory for advanced multitasking; 32 GB eMMC flash memory; built-in HD webcam with microphone; 360° hinge design that offers multiple modes for use as a laptop or tablet; built-in 1.5W stereo speakers - Dolby DS 1.0 home theater; Voice assistant capability; built - in media reader that supports SD, SDHC, SDXC and MMC memory card format; and 2-cell lithium-polymer battery which will give you several hours of working away from the main source of electricity. The Lenovo Flex 3 80LY0009US laptop PC comes equipped with the following display features like 11.6" 10-point multitouch screen with antiglare coating and 1366 x 768 resolution. The resolution in this laptop PC is typical to entry level laptops, so it is expected that the display in this laptop PC is not that sharp and clear compared to laptop PCs with higher resolution. It comes in black finish for stylish look. 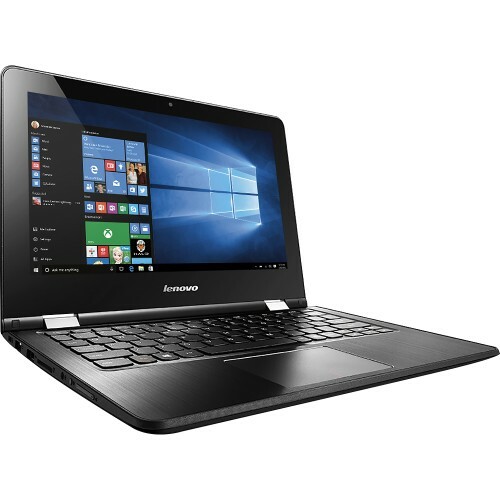 With regards to connectivity, this Lenovo Flex 3 80LY0009US laptop PC is equipped with Bluetooth interface 4.0; Next-generation wireless connectivity; 1 USB 3.0 port maximizes the latest high-speed devices; Ethernet LAN; and HDMI output port. The Lenovo Flex 3 80LY0009US laptop PC is powered by Windows 10 operating system. It measures around 0.86 inches x 11.77 inches x 8.23 inches and weighs about 3.06 pounds. You can have this computing device at the price of $ 279.99. Other devices in this price range include Asus X553MA-BPD0705I and Toshiba Satellite C55D-B5102.